Pokerati » Blog Archive » Video Poker vs. Slots: Is There a Difference? What Are The Most Expensive Casinos Worldwide? Video Poker vs. Slots: Is There a Difference? Similarities between online slots and video poker (VP) are quite obvious and when someone looks at video poker for the first time, it is easy to mistake it for just another slot game. In truth though, VP and slot games are not one and the same. To clear the confusion up somewhat, let’s take a closer look at some of the key differences between the two next. The skill level symbolizes the ability of the player to affect the final outcome of the casino game. Slots are meant to be relaxing and fun games that can be enjoyed by just about anybody, so there’s no real input that the player can provide here, therefore skill is of little consequence in the final outcome of the game. Poker on the other hand, is a game of skill, experience, strategy, and a bit of luck that a lot of people play professionally. This holds true in the case of video poker and online poker as well, since at its core, it’s still poker. It’s not that poker players win any less money than slots players, because those that are good at it and play on a regular basis will in fact win a lot more. However, authentic slot games will eventually give out a bigger jackpot than the average poker game because of a system called progressive jackpot. What this means is that slot machines are mostly progressive in nature, where the potential jackpot amount continues to grow bigger every day until someone wins it, at which point, the jackpot amount is reset to the original amount. This is why it is always a better idea to play at machines which have not cleared out in a while. Slots are meant to relax the player and it’s a true game of chance while poker is a test of skill and one’s ability to mask emotions. Although it’s unfair to compare the two since both are meant for different type of players and different moods, slot games are definitely more relaxing than poker games. If you are looking for a bit of fun and relaxation, coupled with a chance to win big, slots are the way to go, because poker games are extremely competitive and often high stakes. You won’t really have to choose one over the other here because video poker and slot games may look similar, but they are not and there’s no competition between the two. As mentioned earlier, play a few rounds of slot games online or in a casino if you are in the mood to have some fun and enjoy yourself without taxing your brain. 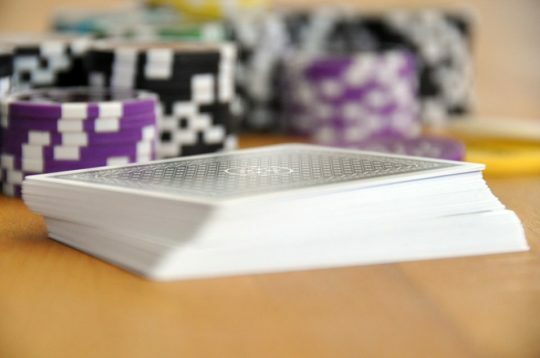 There’s nothing stopping you from playing a few rounds of poker afterwards either, but just make sure that you really know how to play the game and that goes beyond knowing just the basic rules of poker. If you are serious about playing poker, consider practicing and consulting strategies from experienced players first.